I paired Lazy Tilda with Basket with a bow from Magnolias Sakura collection and then used a tiny flower die from Magnolia doohickey die vol#5 to put flowers in my basket. 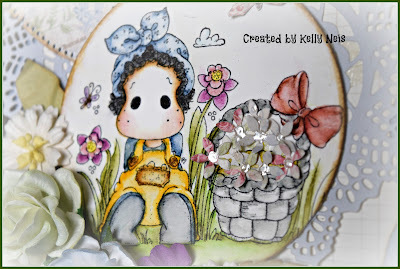 I colored her in Distressed inks and used Prima doily die for her background. My papers are from Pion and the other dies are Doohickeys. I thought the sentiment was perfect for cultivating flowers or Kindness. We all love both. Thanks for stopping by today, hope your day blooms. 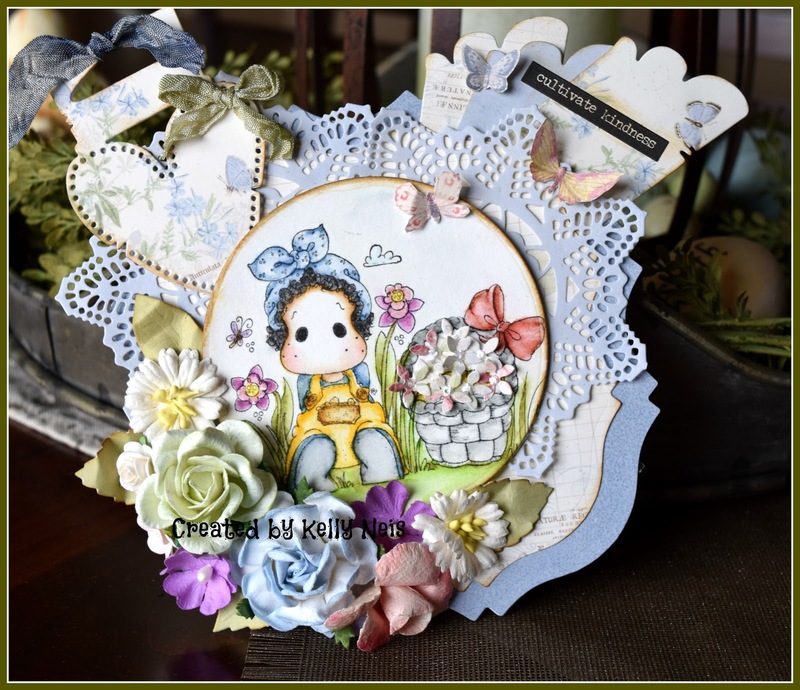 Awe Kelly this is just so adorable...your Tilda is so beautifully coloured...all those flowers are fabulous! Have a wonderful day Kelly! This is just perfect Kelly, love your little scene and those flowers are stunning. Have a lovely day.